Always in a hurry? 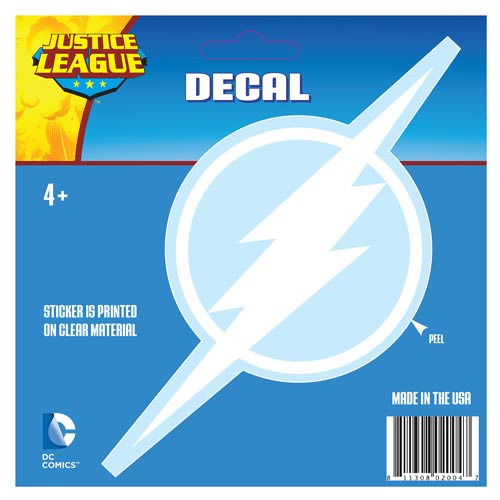 Let people know you'll be there in a flash with The Flash White Logo Decal! This clear, vinyl decal measures approximately 6-inches by 6-inches. Ages 4 and up.